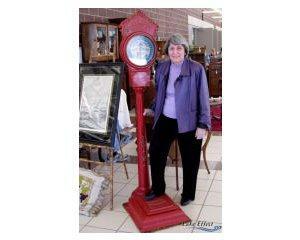 Ralph and Terry Kovel are famous names in the world of antiques and collectibles. Ralph was born in Milwaukee; when his family moved to Ohio, he met Terry Horvitz on a blind date. The couple's career took off in 1953 with the publication of their first "catalog" called Kovels' Dictionary of Marks. Their success lead to a newspaper column, television show and more. WUWM's Susan Bence met Terry Kovel when she was in town for a home and garden show at State Fair Park.